“It takes 15,000 casualties to train a major general.” – Ferdinand Foch. I lost 3 of my 23 hives to beetles. 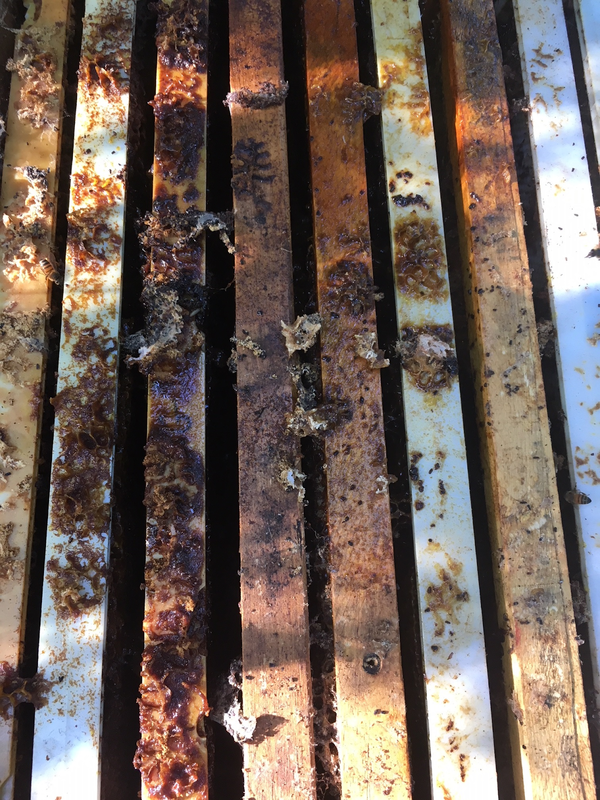 Actually, I lost 3 hives to neglect. While the beetles were the final cause, I think that the hives may have swarmed and left the remaining colonies too weak to defend themselves. 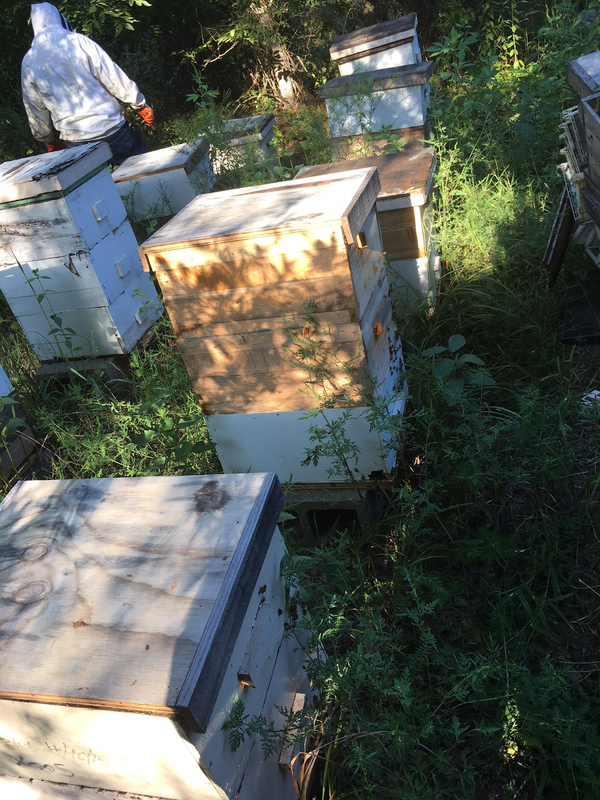 I could make a 1000 excuses like work, weather, and want… but at the end of the day, I allowed my hives to go two months unchecked. Last year I fussed too much with my hives, this year too little. The lesson here is to find the sweet spot – I believe that is about once or twice a month. To add insult to injury, the tire on my 4×8 trailer came off the rim and, not having any other option, I had to drive home on the rim. Much to my surprise, the rim seems unharmed. I will try to put the tire back on the rim tonight but I may need to buy new tires. Just the same it was a very productive year. I increased from 7 to 20 hives. I have 20 deep supers of honey to collect and if they are all the same as the one I extracted last night, that will equal 80 gallons or 50lbs per Deep Super. Which brings me to my new extractor: Honey Keeper Pro Electric 4 Frame Stainless Steel Honey Extractor which cost about $325 on Amazon. It worked great. It took about 10 minutes to setup. The barrel was bent a little oval’ish when I opened the box but I’m a big guy and I was able to bend it back round. The extractor held 4 deep frames that had to be flipped midway through. 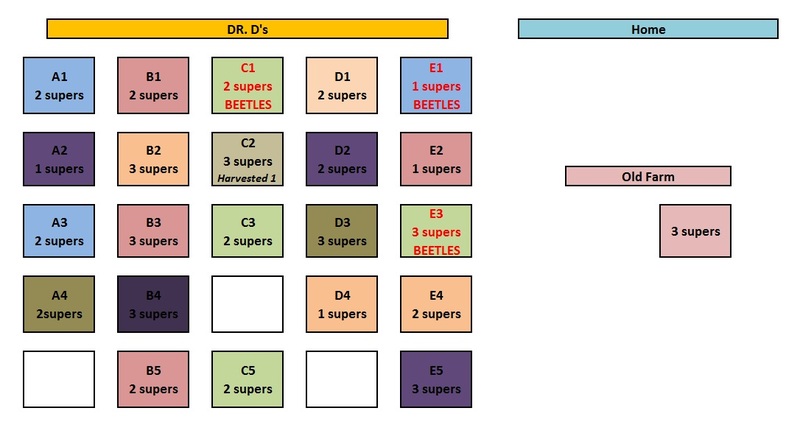 One Deep Super took about 30 minutes – of course that was my first try so I am sure I will get much more efficient. One of the ten frames I extracted was a wood frame with no wires in it. Much to my delight, it did not come apart and extracted without incident. 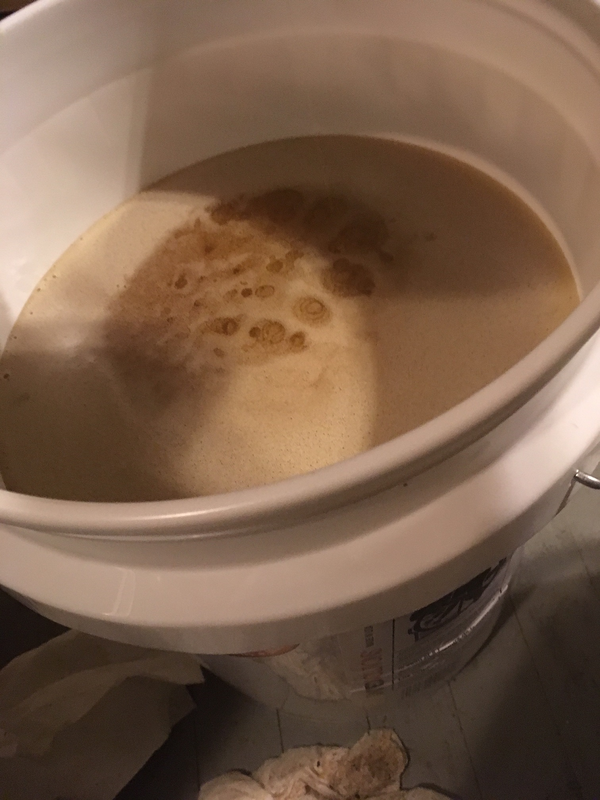 The drum only held about 4 gallons so that the final extraction caused the honey and wax bits to get stirred and whipped – that is why it looked a little foamy in the bucket picture – it later settled out clear. I have spent at least a $100 on cheese cloth over the years. The double sieve is not only cheaper but it was so much easier and cleaner. As for the uncapping roller – Why does anyone use a hot knife? I have tried a scraping tool which was awful. It made a huge mess and I usually ended up scraping off most of the wax from the frame. I’ve also used a hot knife and that too was messy. The uncapping roller was extremely clean and effective. Well I only extracted a single super last night. Tonight I will try to bring home 10 more – assuming I can get the trailer tire fixed. If not, I have a rack on the back of my SUV and it will hold 3 supers.